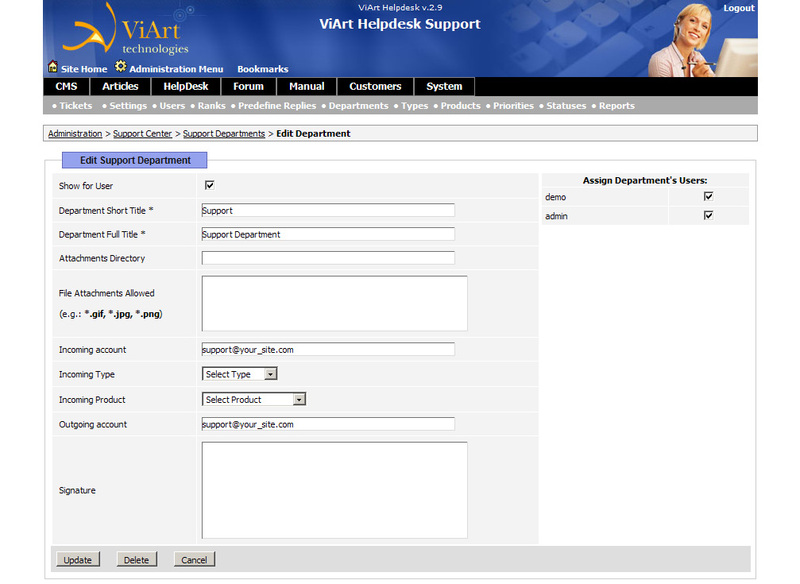 Please look at the following screenshots as illustration how ViArt Helpdesk works (click on the image to enlarge). 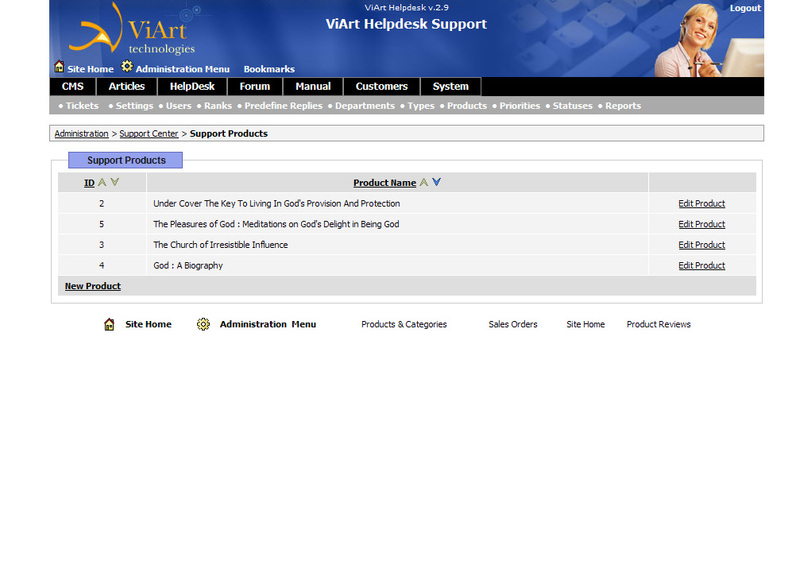 Please look at the Support Centre. 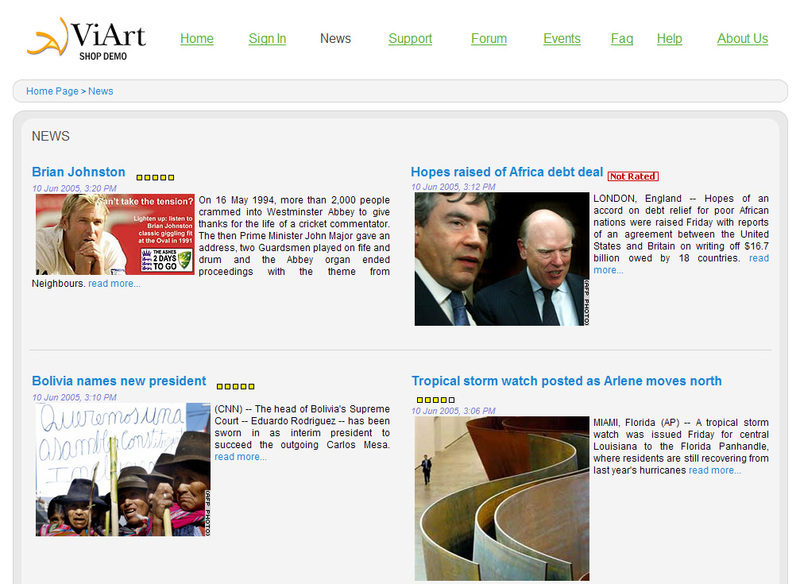 You have the possibility to view the current tickets and the statistics for all tickets. Besides you can search for the ticket by its number, by keyword, by e-mail, etc. 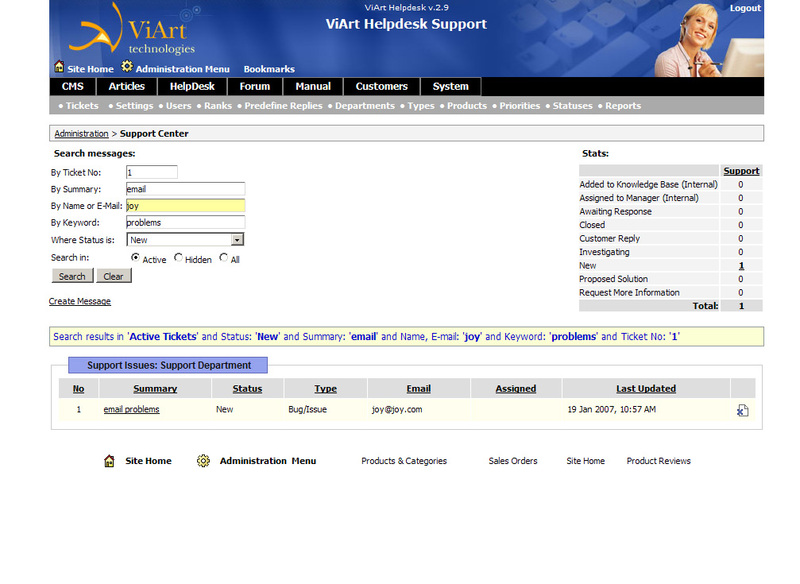 Here is an example of a support ticket. To reply to a customer click on Clear button and enter the text of your answer in the text field. 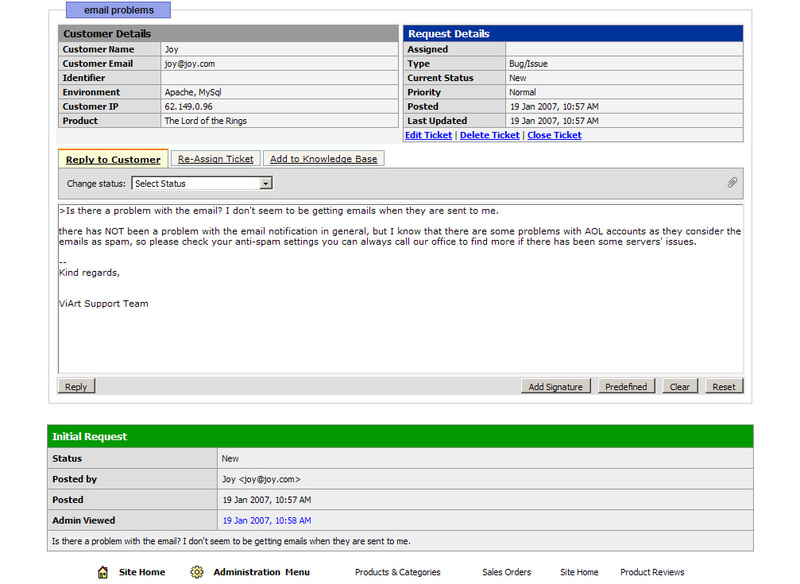 Then select the status answered in Change Status field and click on Reply button. Now your ticket has been sent. You are allowed to create any support department and then edit it according to your requirements. You can choose whether to show it to the user or not. You can edit support user profile. 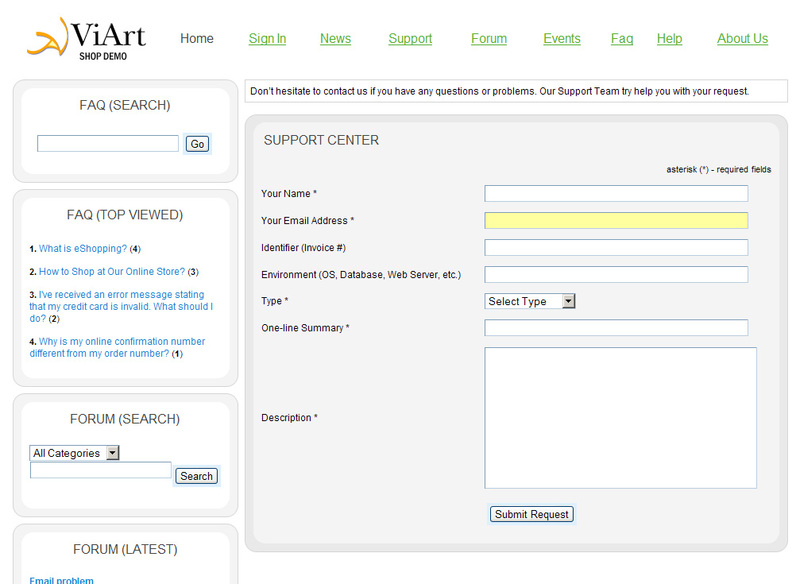 For this go to Administration>Support Center>Support Users>Edit Support User. 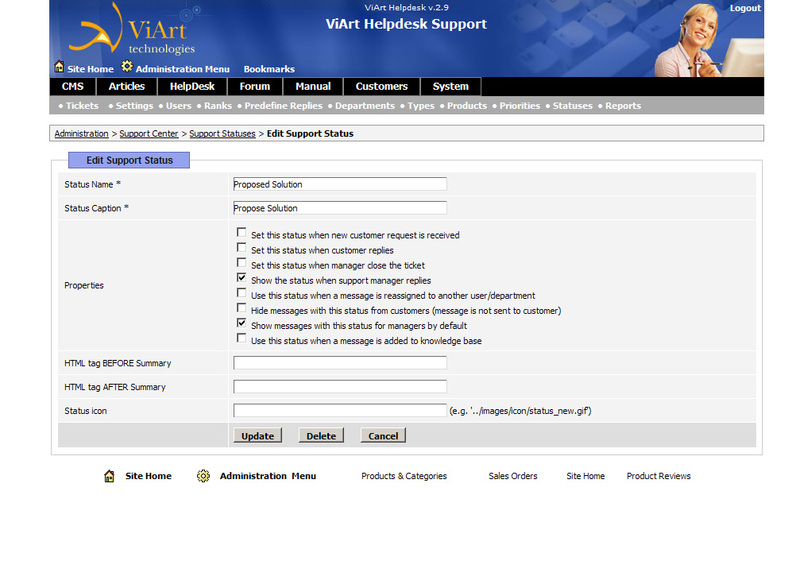 This report system allows to view the status of support tickets, namely, how many tickets were answered, how many tickets are awaiting response, how many tickets were closed, etc. 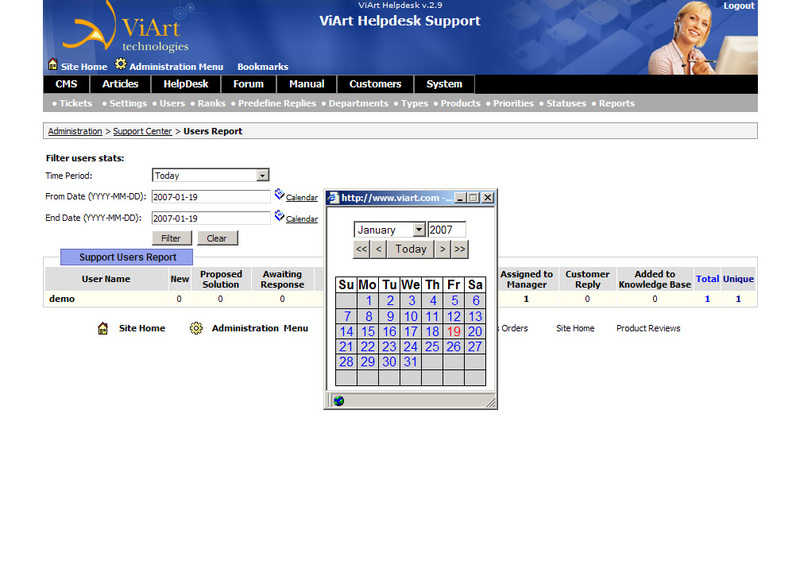 You can choose time period by entering the necessary date or choose the date from the available calendar.